The Ginsberg Center uses the term Community-Engaged Scholarship to emphasize our approach of putting community-defined needs at the center of any community engagement effort including courses, research, and service. Supports developing a lifelong commitment to civic engagement. Community partners are active participants in the process of identifying needs and developing appropriate interventions and projects to address these needs. Faculty, staff, and students work in collaboration with community partners to consider the impact on communities before, during and after community engagement. 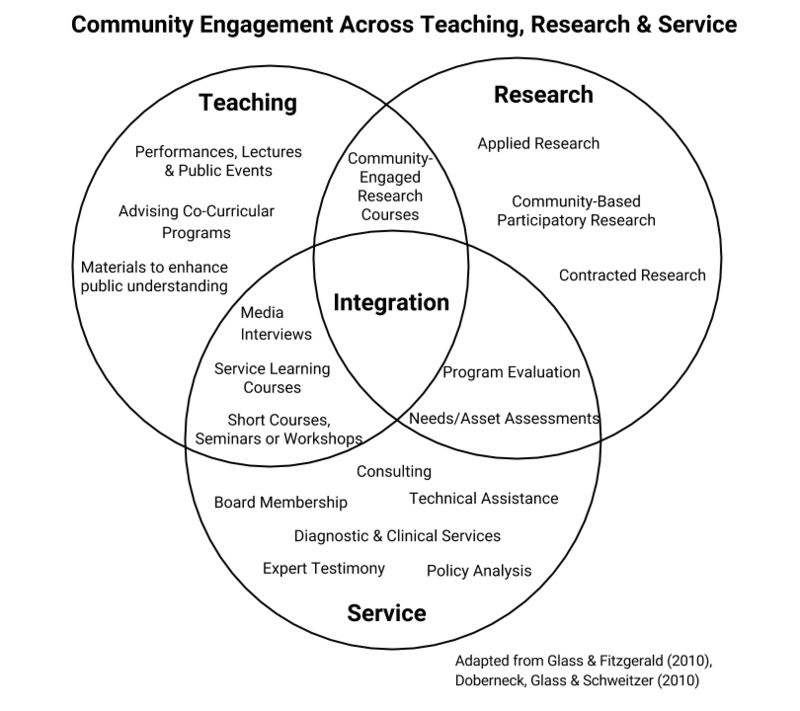 Why should you implement community-engaged scholarship? Community-Engaged Scholarship is a High Impact Practice. Participation in these activities has the greatest impact on success, on retention, on graduation, on transfer, and on other measures of learning (NSSE 2008). Community-Engaged Scholarship engages faculty, staff, students and community partners in broader civic and social engagement efforts, promoting a lifelong commitment to civic engagement. Fitzgerald, H. E., Bruns, K., Sonka, S. T., & Furco, A. (2012). The Centrality of Engagement in Higher Education. Journal of Higher Education Outreach and Engagement, 16(3), 7–27.